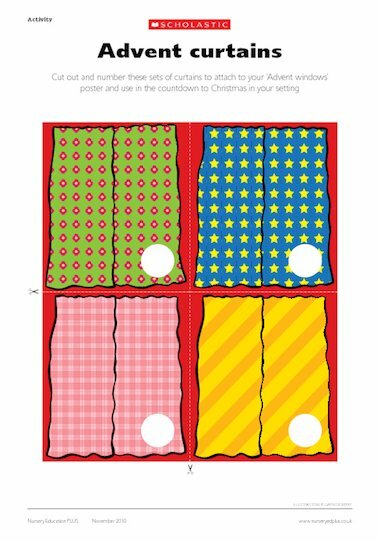 Cut out the sets of curtains on this useful activity sheet to attach to your ‘Advent windows’ poster. Use the advent calendar in the countdown to Christmas in your setting to build anticipation of the coming festivities. This activity sheet is also available in black and white, so the curtains can be decorated individually by your children.